Are you having a hard time chewing? If ever there was a month to get that dental problem fixed, it’s November! Enjoy your Thanksgiving Day spread with comfortable dental restorations made just for you and in only one visit at Lapalco Family Dental. 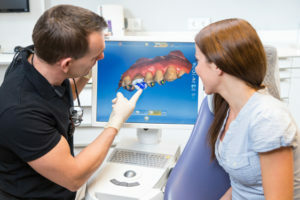 Here’s Dr. Landry explaining more about our convenient, state-of-the-art CEREC technology.